25th of December a date that uses to bring so much joy. Yet here I am, teary eyed and dreading the day even though I have my rainbow to see open her gifts . There is a void in the whole day , Oliver isnt here and by all our rainbows milestones and actions we are reminded about all the what ifs . Christmas day should be a day filled with joy , yet joy is replaced with dread and a feeling of guilt , a guilt for daring to smile , for getting excited to see our rainbow filled with so much joy. We feel bad for letting a innocent child dare show excitment and love for christmas . To an extent we share her joy but we soon check ourselves back to feeling an empty void for Oliver. This is the first year we were excited for xmas day because our rainbow till now has never shown an interest in Christmas, Yet we find ourselves questioning our happiness and if its ok.
Then Olivers uncle mentions his name during the day and then the feeling of dread and joy fills us. Throwing us off . My family have always acknowledge oliver , the subject of him is hard for my mum , the picture of her holding him will never leave my mind . No one wants to see their mum upset , and that particular picture haunts me, reminding me of the devastating impact child loss has on the family as a whole. But i have still dictated the day to how I wanted it to go , A reminder that we can be in control of our greif , and to not allow others to dictate it to us. 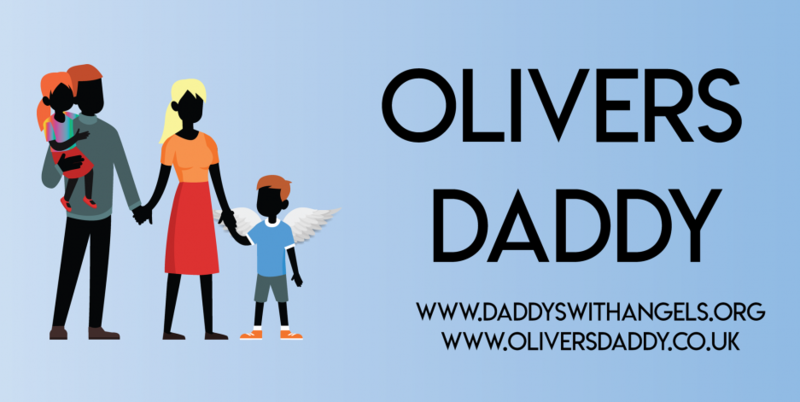 ‹ PreviousThe Holiday struggles of an Angel Dad.